The safest and most effective parts cleaner available! 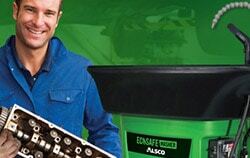 The Alsco Ecosafe Washer outperforms any other parts washer and ensures responsible care for the environment. Alsco is proud to introduce the safest and most effective parts cleaner available. Available through a fully managed rental program, call us for a free demo and discover the benefits for yourself.